As previously explored on the blog, Corey brings a wagon filled with treats around the office every Wednesday to put a little pep in our mid-week step. While we all feasted on treats, we were sad that Corey never really gets to have a wagon surprise of her own. But that changed this week. 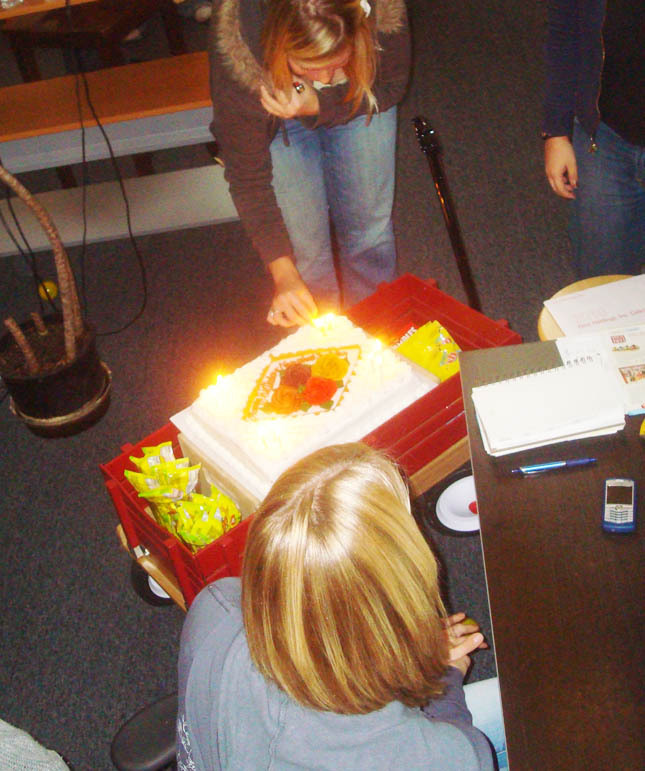 In honor of her Thanksgiving birthday, we presented her with a surprise birthday cake… on wheels! This entry was written by paulhanges and posted on November 25, 2009 at 6:44 pm and filed under Inside JibJab. Bookmark the permalink. Follow any comments here with the RSS feed for this post. Trackbacks are closed, but you can post a comment. It would be really fun to have Bollywood-style dances to work with. They are so bizarre and entertaining.